This post comes a little beyond schedule, as it based on news – and good news at that! 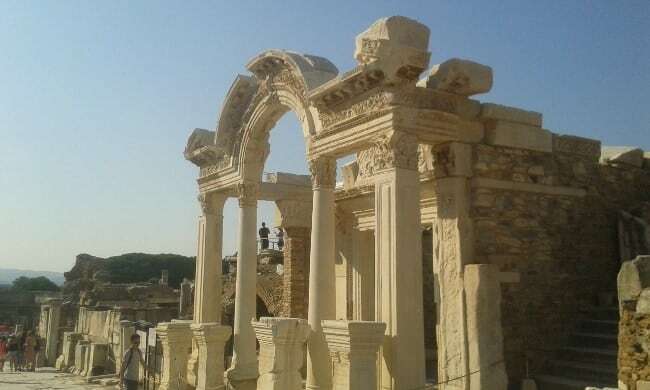 Only a few days ago: the 2nd century AD Temple of Hadrian at Ephesus. What list? 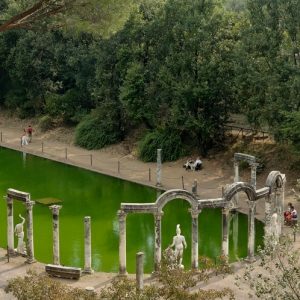 The World Heritage List is a UNESCO project, in existence since 1972, that aims to designate and protect cultural or natural places that are of outstanding value to humanity. Countries can apply to have such places listed, which entails various obligations as to their safe-keeping, protection from damage, development and major modification and so on. It adds to the visibility and prestige of such sites, and after 40 years of development it offers a broad and varied insight into remarkable human achievements and extraordinary natural wonders across the globe. Well, it turns out I misled my guests – inadvertently, of course! This year’s additions to the List, announced last week, finally include Ephesus. Even better: they also include the Arab-Norman Heritage of northern Sicily, which figures on our tour of that island (and on this blog). In Turkey, our tours currently include six UNESCO sites. 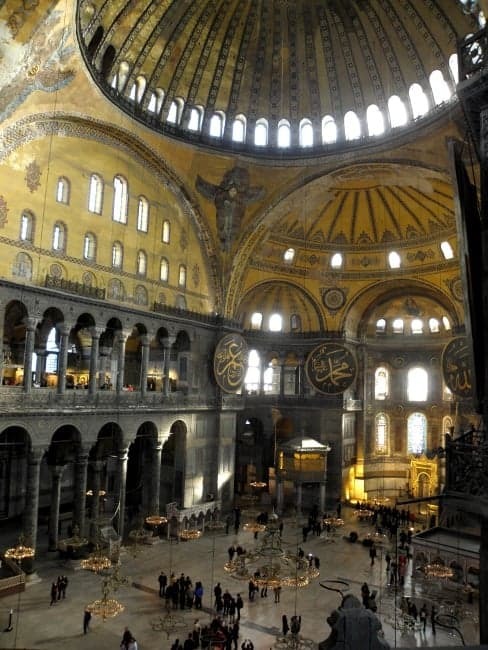 Still splendid nearly 1,500 years after its construction in AD 537: interior of the Hagia Sophia. Istanbul, previously known as Constantinople, and before that as Byzantion, is a remarkable city in many ways, straddling Europe and Asia. The architectural remains of its 2,700-year history are scattered throughout the Old Town, including Roman and Byzantine treasures such as the Hippodrome, the mighty 4th century Theodosian walls, the stunning 5th century AD Hagia Sophia and the many-splendoured Chora Monastery. The Ottoman heritage is every bit as impressive, examples are the enormous Topkapı Palace Complex, the famous 17th century Blue Mosque and the visually dominant Süleymaniye Mosque and surrounding quarter. Istanbul is the focus of our Exploring Istanbul tour and the starting point of our In the Footsteps of Alexander The Great in Turkey: the Conquest of Asia Minor tour. Also, many of our guests on Turkish trips add a few days in Istanbul at the start or end of their holiday. Visitors to Istanbul can easily add day trips to two more UNESCO sites at Edirne and Bursa. 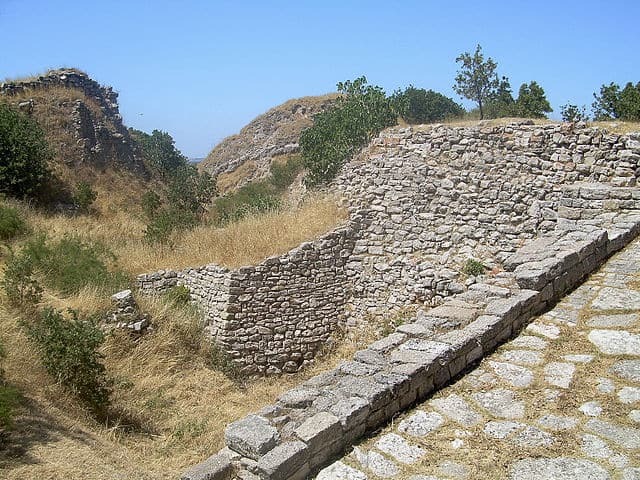 The Bronze Age walls of Troy (image by Wikimedia user CherryX). Troy, or Ilion, is not just the setting for Homer’s Iliad, a landmark in world literature, but a very real and very ancient site. Set on the hill of Hisarlık not far from the Dardanelles, its urban history began some 4,000 years ago in the Middle Bronze Age. The city, destroyed and rebuilt many times, became an important centre of trade in the region in the 2nd millennium BC. Whether Homer’s Trojan War actually took place may be controversial, but the site did suffer a major destruction in the 13th century BC. It continued to shrive into Roman years. Over a century of excavations has revealed much of this fascinating cultural hub. As Alexander the Great visited Troy on entering Asia, we do so, too, on In the Footsteps of Alexander the Great: the Conquest of Asia Minor. 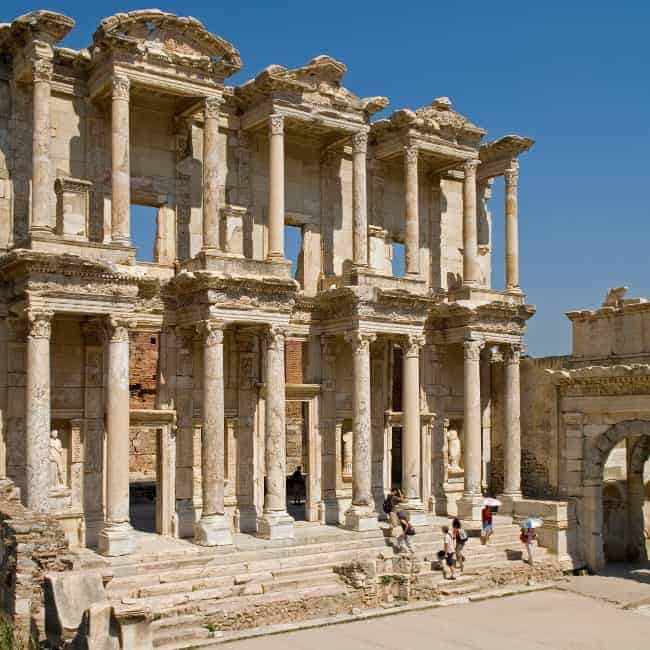 One of the most famous and most beautiful of the archaeological sites, Ephesus richly deserves the standing. The Greek-founded city is now distinguished by its extreme wealth of large, ornate and well-preserved structures from the Roman and Byzantine eras, including the Roman Terrace Houses, where the upper-class domestic life of the 1st to 3rd centuries AD can be explored in detail. The site had an equivalent status to today’s UNESCO list in antiquity already: its Temple of Artemis was considered one of the Seven Wonders of the World. 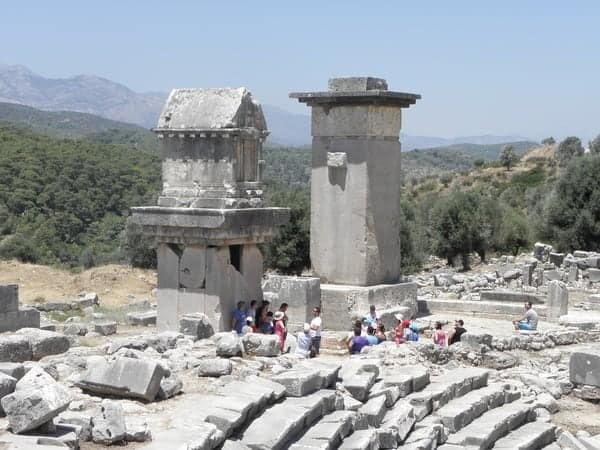 You can visit Ephesus on our Cruising to Ephesus and some other cruises we offer and also on our In the Footsteps of Alexander The Great tour in Turkey. Spectacular late 5th century BC pillar tombs overlook the Roman theatre at Xanthos. Xanthos was the sometime capital of the ancient region of Lycia in Southwestern Turkey. The site includes a theatre, defensive walls and an Early Christian church, but what makes it extra memorable is its enormous wealth of Lycian tombs of many types, including rock-cut house tombs, rock-cut sarcophagus tombs and the astonishing pillar graves. Nearby Letoon was reputed to be the birthplace of the Gods Apollo and Artemis: the atmospheric sanctuary also includes a splendid theatre and the remains of several temples. 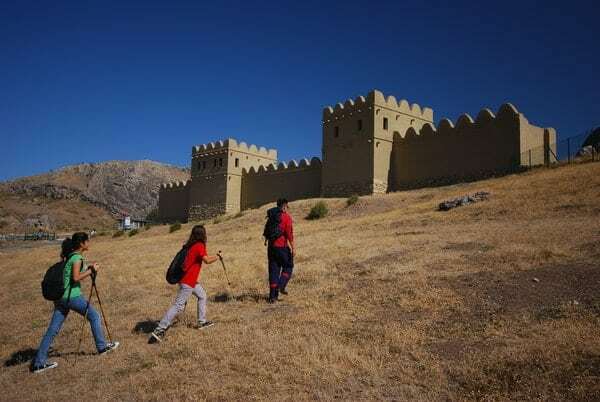 The second prehistoric site on our Turkish UNESCO list is another Bronze Age citadel – and much more than that. Hattusha was the capital of the legendary Hittite Empire, extending over much of Anatolia during the mid-2nd millennium BC. Its enormous walls, with characteristic sculpted gates, enclose a near-unbelievable amount of archaeological remains, including multiple temples, magazines and palaces. The site has yielded vast archaeological treasures and opens up a window into a mysterious and dynamic ancient civilisation.The adjacent rock sanctuary of Yazılıkaya with its friezes of Hittite gods and kings adds another level to the experience of visiting this spectacular place. Cappadocia’s volcanic geology has created a range of bizarrely beautiful landscapes, filled with important historical sites. UNESCO lists this group as World Heritage both for its cultural and natural sights. 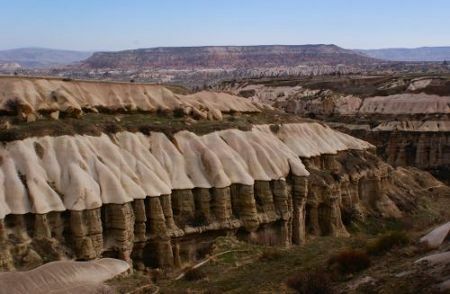 The terrain of Cappadocia, formed through volcanic activity followed by millennia of erosion, is truly unique. Its valleys are lines with bizarre and arresting rock formations, such as the famous fairy chimneys. What makes Cappadocia even more memorable is the fact that this surreal landscape is scattered with and pierced by countless man-made monuments. They include the strange and mysterious Underground Cities (Göreme is just one of those) as well as wealth of Byzantine churches, chapels and monasteries, most of them cut into the very rock and many of them extensively painted. Cappadocia is a must-see for many visitors to Turkey, usually in the form of a one- or two-day trip, but on our Walking and Exploring Cappadocia and the Land of the Hittites we do the region full justice, exploring much of it in the company of an expert guide. This is only an account of currently-listed UNESCO World Heritage Sites on our tours and cruises in Turkey. If we included the Tentative List, i.e. the one of sites for which applications have been made, this post would be much longer, including more great and unforgettable places to see, such as Kaunos on our cruises in Caria. We’ll watch out for further developments and report right here! If you enjoyed this post, also have a look at the next two parts of this series: about UNESCO World Heritage sites on our trips in Greece and about World Heritage sites on our tours in Italy.